Reed & Barton waterglobe from the Let's Celebrate collection. 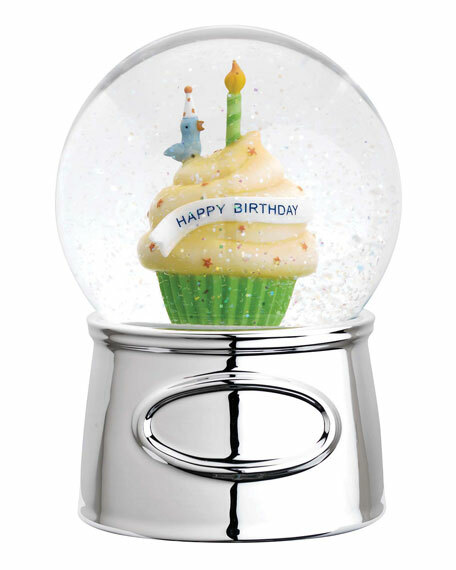 Enamel cupcake with "Happy Birthday" banner. Music box plays Happy Birthday to You.